I will be in New Orleans for the RT Convention taking part in the Young Adult track! I will be participating in this panel on Friday! Contemporary YA fiction is seeing an exciting come-back. Sometimes reality requires a different toolbox than other genres. Join our experts as they address the intricacies of crafting stories in our world. 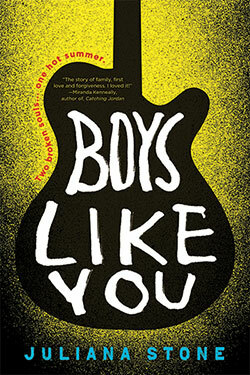 I will also be taking part in a speed reading from BOYS LIKE YOU. Join this group of YA authors as they read 1-2 minute excerpts (under the watchful gaze of a time keeper) of their works.